I have fond memories of my first 5 years, though truthfully I don’t actually remember many specific instances from my early childhood. I just know that it was good….but not without trauma. 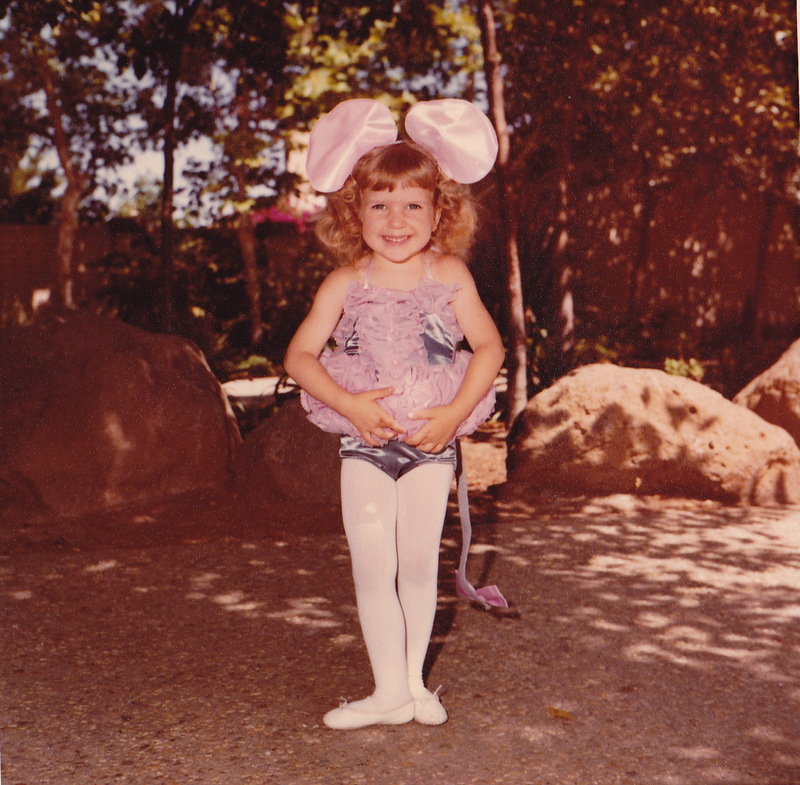 I remember going to ballet class. I remember being at my Grandma’s house and watching my great grandma fall down the stairs after drinking homemade grape juice. I remember hiding under Grandma’s dining room table while the ambulance picked Great Grandma up to take her to the hospital. I don’t remember my dad getting sick, or being sad when Mom told me that I couldn’t get up on his bed to play. I don’t remember the trips to and from the hospital to visit dad. I do remember the yellow room at the top of Grandma’s stairs where dad spent his last few weeks. I don’t remember his funeral, just six months after my second birthday. I don’t remember meeting my new dad for the first time, or even the time that he asked me if it was ok if he married my mom. 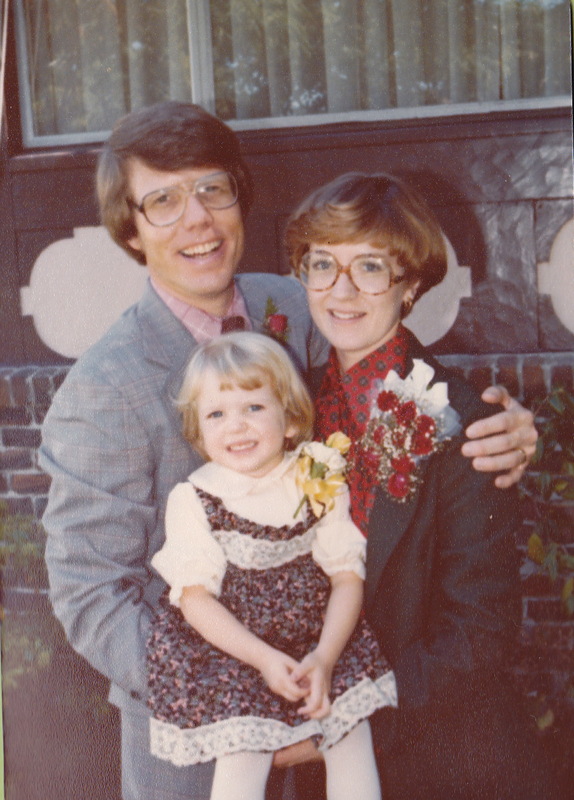 I do have faint memories of the party at Grandma and Grandpa’s house after Mom and Dad got married. I couldn’t have been happier. I remember loving my dress. I still have it. I remember loving our new house and our new family situation. We were a family again. It’s amazing how resilient little kids are. I don’t remember preschool, though I have the picture to prove that I went. I don’t remember what I did for four years before I had a sibling. I do remember kindergarten. The small bathrooms, the tables scattered around the room where I could write books and color and paint. And I remember my first kiss. His name was Sam, and some other kids challenged us to kiss under the tall metal slide during recess. I remember that the kiss was quick and awkward, but not as awkward as Ms Gill telling the entire class that we should not kiss on the lips at school. Everyone knew she was talking about me and Sam. I’m the cute blonde in the front row, with white shirt and white tights. Sam is the little boy in the middle row…..appropriately wearing the blue sweater that says “SCORE.” I will never forget that adorable face. What do you remember from your first five years? you were so darn cute!! love the ears. I am so sorry about your dad. But amazing how resilient you are. You have such a strong and amazing family. I’ve loved reading all of the stories of your history. I can’t believe I missed this post! It’s perfect! I can’t believe how much Rachel looks like you in the first picture, and the last one. And I loved reading about your first kiss….I don’t think I’ve ever heard that story…or seen the pic of the boy with the “score” shirt on. Hilarious! It’s interesting to hear you mention what you do and don’t remember with what you know happened now. All the pictures are just precious and it’s wonderful to know more about the little girl inside them. So glad you have joined us! love how you shared your memories here. It is truly amazing how resilient little ones are! I also got a “new dad” (for a different reason), but I honestly don’t remember arriving at that point…or any of the turmoil leading up to it! What a hoot! I wonder if his mom found out and then realized what his shirt said. 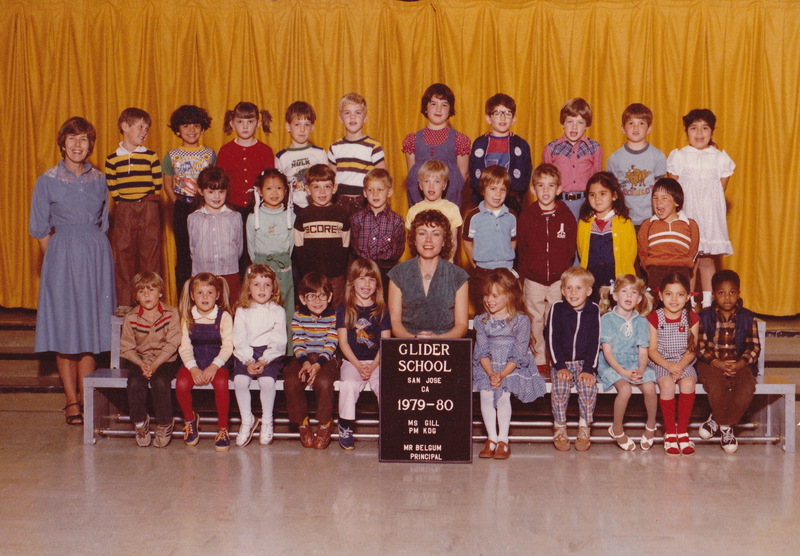 I was looking at the kid on the end of the 2nd row, brown striped shirt… He must have been a fun one! I’m so sorry that you had such loss so young, but thankful that God provided a man to step in and be a daddy to you. I’m looking forward to reading more next week! Those photos are so adorable! 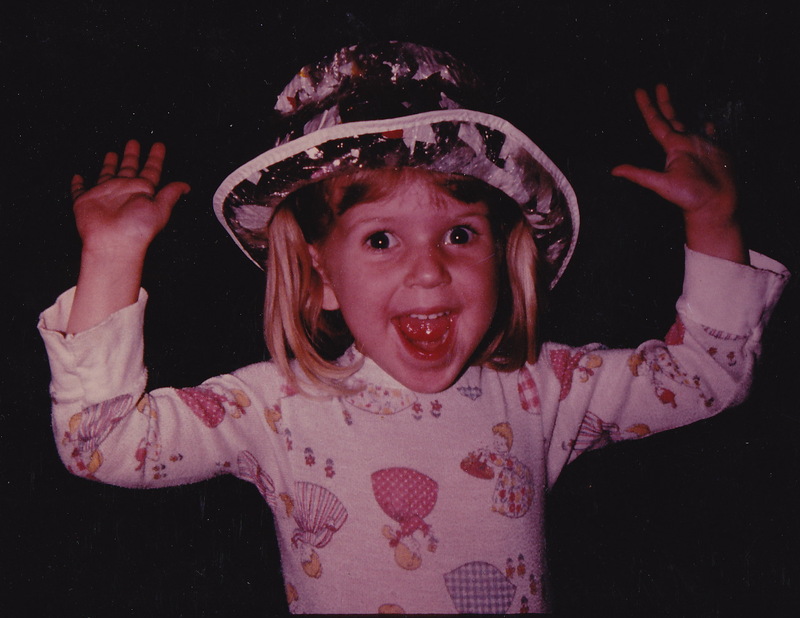 They make me want to go pull out some pictures of me when I was little! I love this post! There’s so much in our memory that we really don’t remember, but that we know from others’ stories. I can totally see your beautiful face in that little girl’s. I actually laughed out loud at his shirt saying “Score”, oh my! What a great post! Love the photos. They totally take me back to my own childhood. You remember a heck of a lot more than I do! I love the photos you dug up! Esp the ballerina one, looks like you were a mouse (grin)! great story, thanks for sharing :) ~hugs!